While winters can be downright freezing in some states, one cannot deny that we look forward to the season nonetheless. After all, snowmen, Christmas and family get-togethers also happen during the winter. Unfortunately, not every part of the holiday season feels as cheery, though, especially not on the mornings when you have to shovel snow from the driveway to get anywhere. While professional snow removal services will be needed to take care of major buildups, here are five tips and tricks that will help you handle the smaller day-to-day snow problems on your own. Table salt is basically just sodium chloride (NaCl), which is an excellent de-icing agent. Find a sock and put table salt in it, now make it into a tight bag of salt before rubbing it evenly on your car’s windscreen at night. The salt will prevent the windscreen from being covered in hard frost during the night. Do not overdo this, though, because sodium chloride can mess up glass surfaces if used too frequently or too generously. Whether it’s rubbing alcohol or booze, everything works as long as it is mostly alcohol. Spray some alcohol on your frosted windows with precision and then use a piece of cloth or an old towel to wipe it off. This removes frost and cleans up the dirt and grime as well. As an added advantage, cleaning with alcohol will temporarily keep your windows from fogging up as well. As a perfect example of killing fire with fire (it’s more like killing ice with water in this case), you can also use lukewarm water to melt ice and snow away from your windows, windscreen, doors, locks, driveways, steps, walkways and just about everywhere else. Be careful about the runoff water, though, because if you don’t soak it up with a mop immediately, it won’t take too long before the run off turns into ice itself. Autumn might be over, but the role of your trusty old leaf blower isn’t over just yet. It can be used as a lightweight snow blower as well. 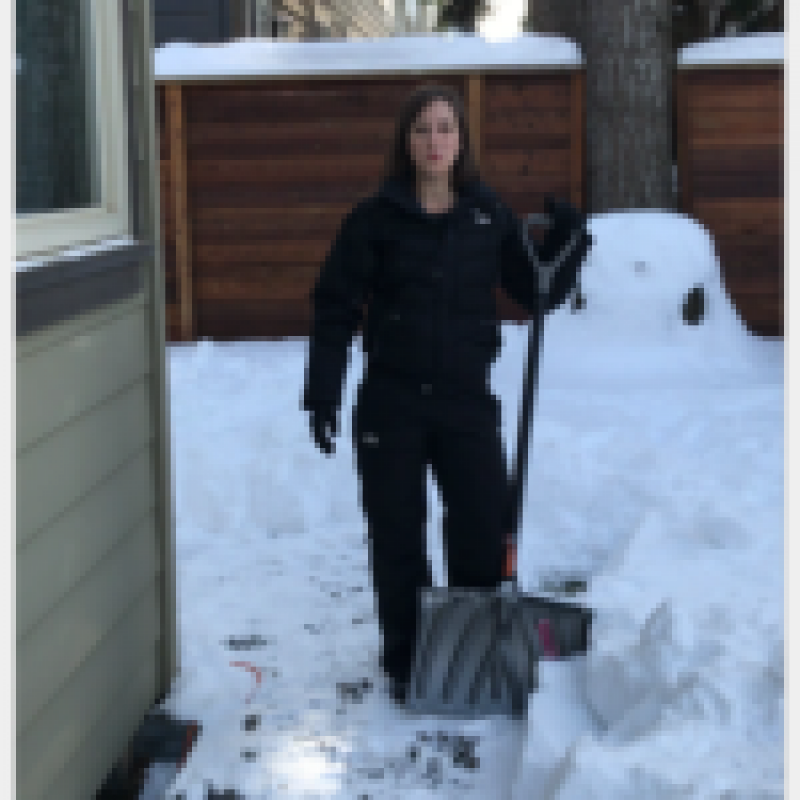 You will need to upgrade to a heavy duty, dedicated snow blower if you have heavier tasks in mind, but even a leaf blower can be sufficient if the snow buildup isn’t particularly heavy. It’s all about perception and you can use perception to your advantage here by making snow removal a part of your exercise routine. If you must shovel snow, know that it’s a good combination of cardio and resistance training. Warm up, wear the right clothes and get into it like you would during a gym session. You will be boosting your health while doing what must be done, turning a disadvantageous situation into one of advantage. While these tips and tricks will help you handle one of the worst aspects of winter, you should also pay heed to safety as well. Don’t overexert yourself and try not to go outside and shovel snow when the weather is particularly bad. Be clever about it and the holiday season should be just as fun as it’s supposed to be.